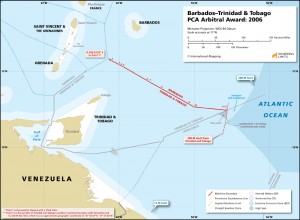 The maritime boundary between Barbados and Trinidad and Tobago was established by an Arbitral Award in 2006. 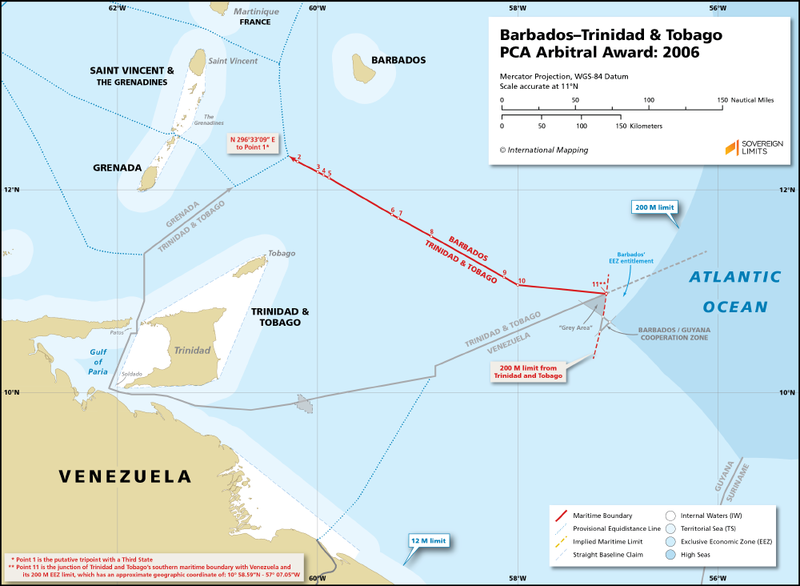 The boundary was largely derived from the provisional equidistance line, with the Tribunal making a minor adjustment in the final segment that favored Trinidad and Tobago. The northernmost portion of the boundary, beyond point 2, tracks a single directional bearing of 297° 33′ 09″ until it reaches the maritime entitlements of St. Vincent and the Grenadines.